The Elman W. Campbell Museum brings Newmarket’s history to life. 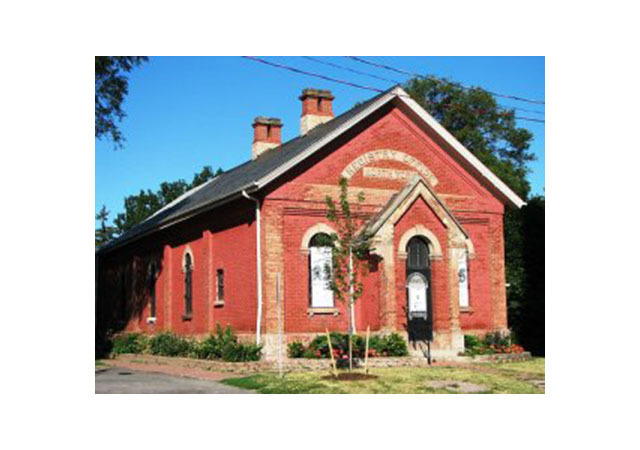 Located in the former Land Registry Office built in 1884, the Museum presents exhibits, programs and events that reveal Newmarket as it has evolved over more than two centuries. From the arrival of the first Quaker settlers, to the major changes of the late twentieth century, discover how Newmarket has grown and diversified while keeping its small-town heart. The Newmarket Historical Society Archives contain photographs and written materials that are a treasure trove for researchers. Heritage Newmarket maintains files on historic properties and pursues designation status for the most noteworthy. The Elman W. Campbell Museum is a facility of the Town of Newmarket Recreation and Culture Department. The Museum gratefully acknowledges the financial support of the Ontario Ministry of Tourism and Culture. We have lots of great programmes for schools and community groups! Ask us for information on “Traditional Rhymes and Songs”, “Community Helper”, “Winter Celebrations “, “A Child’s Day in Newmarket”, “Pioneer Life”, “Local Government”, “History Hunt and Tour”, “Hallowe’en Party”, and more!! Some of our programmes can be offered as Outreach to classrooms. Visits can be booked by appointment. Evening programmes can be arranged for Beavers, Brownies, and others. Information about our Guide, Brownie and Sparks programmes can be found here. Programmes for Wolf Cubs can be found here, and for Scouts can be found here. We also offer an Outreach programme for seniors groups called “What Is It?”, that combines a slide show about Newmarket with objects from the Museum’s collection. The Museum has a Gift Shop operated by the Friends of the Museum. The Shop features postcards, books on local history, maps, t-shirts and other great merchandise. Especially popular are the old-fashioned wooden toys! The Gift Shop is open during regular Museum hours. The Elman W. Campbell Museum is located at 134 Main Street South, Newmarket. Hours are Tuesday to Saturday, 10 a.m. to 12 noon and 1 to 4 p.m. Free admission. Call 905-953-5314 for more information.